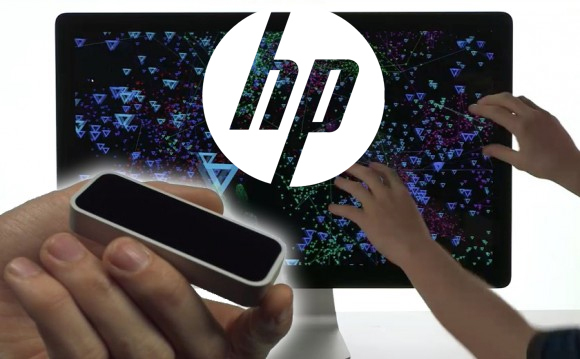 3D gesture sensor startup Leap Motion will soon be integrated into HP computers, after the signing of a partnership. For a long time sought to replace the mouse, which ultimately supports our computers for several decades. But until then, alternative solutions, touchpad, trackpoint, ... - are not convinced. This is why the motion sensors can possibly claim is necessary, not to replace the mouse, but at least for the assist. HP took the opportunity since it has signed a partnership with a start-up. Initially, Leap Motion will come with computers, but eventually will be integrated into the screens and keyboards manufacturer. However, HP has remained fairly stingy with details because we do not know which models are affected, or even when they are marketed. Leap Motion was presented in May 2012 with a strong argument: 100 times more accurate than the Microsoft Kinect sensor. We had him also devoted a long article at the time, that you can find. Meanwhile, Leap Motion can be purchased directly from their website for only 70 dollars. Specifically, what can it do? The Leap is connected via USB to a computer. Posed to the screen, it will create a cube of 60 cm per side; area in which your movements will be recognized to 1/100th of a millimeter! For those who have tried the device, two features make the camera is awesome: accuracy first but its reactivity.